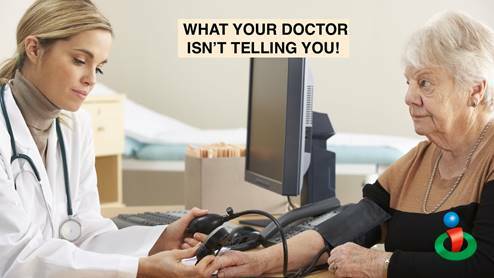 What does your mainstream doctor not want you to know? He or she does not want you to know that bad reactions to pharmaceuticals are a leading cause of death in the U.S. Doctors also do not want you to know that chronic disease is associated with a lack of cellular energy. This is one of the key reasons why traditional Western medicine has been unsuccessful in finding cures for so many of today’s most common health problems. Pharmaceuticals help in alleviating symptoms. They are not good, as everyone knows, at providing genuine long-term cures. Physicians have always known that, given time and the right conditions, the body can cure itself. A healthy diet, exercise, and adequate rest go a long way toward preventing many problems but for actual healing to take place the body may need to increase the amount of energy in its cells so the cells can do the work they were designed to do. Pouring in energy and concentrated nutrients together gives us a chance for real healing whereas pharmaceuticals in general trade one problem for another. Modeling after the reality that oxygen is the most prescribed drug in hospitals we add other basic elements of life. We add hydrogen gas, electrons via microcurrent therapy, CO2 with bicarbonate and slow breathing, potassium, sulfur, magnesium, iodine, selenium Vitamins C and D as intensive ways of turning people away from downward health spirals. A major benefit of electron (microcurrent therapy) and all these basic medicines is that they are all drug-free—no side effects because we are using concentrated nutritional substances not toxic pharmaceuticals. Oxygen is the most prescribed drug in hospitals yet is not a pharmaceutical patented drug—it is nutritional! The best drugs are nutritional when they are concentrated at high enough dosages. Any pain reliever or chemotherapy has side effects with often large negative impacts on a person’s life. Pain relievers may cause complications with other medications or worsen a patient’s other conditions, such as high blood pressure or diabetes, because they affect the whole body, not just the targeted injured areas. That is why medical marijuana is such a boon to doctors and patients. It is one of the best pain relievers, even of emotional pain. Bottom line to pharmaceutical medicine is that the side-effects are their main effects and that makes total sense when you are dealing with substances that are poisonous—toxic—even aspirin is guilty of killing thousands of people a year. To make new cells, the body must have raw materials (nutrition) and sufficient cellular energy to use the materials. If any of these are lacking, pharmaceuticals and/or surgeries will not help. Human cells are designed to run at about -20 millivolts (or pH of 7.35). The body has the ability to heal itself of many ailments if it is supplied with sound nutrition and proper cellular energy. Microcurrent therapy is a unique way that engages the body’s natural resources to assist the processes of pain management and rehabilitation, breaking the “pain cycle.” Microcurrent therapy stimulates the body at the cellular level, restoring cellular metabolic activity and tissue function in the area of treatment. It does this by mimicking a properly functioning body at appropriate voltage levels, emitting the most minute amounts of current, amounts that replicate what the body itself transmits. Hydrogen therapy, though not completely understood, provides an important parallel to electron medicine. One would think the electron much smaller than hydrogen but its footprints are larger because of the negative charge electrons carry. Molecular hydrogen, containing two protons and two electrons, is neutral so it does not take up as much space electromagnetically meaning it will slip into cells more easily than electrons, which are much smaller. The cell will resist any charge but not hydrogen so these small neutral molecules of hydrogen will get into the cell and into the mitochondria with ease and with speed where they do a whole lot of good. Same goes for oxygen, which can be pumped in with more pressure through a variety of means. Yet oxygen can be tricky due to several factors. One basic thing to watch out for is CO2 levels remembering that oxygen is more toxic in the presence of bicarbonate deficiencies. Meaning when the body is too acidic (too many H+ in the body) oxygen utilization in the cells diminish. The reason the H+ carries a positive charge is because it has lost an electron. It is effectively dead, acidifying, damaging, degenerating. Not good news at all for the body when acidity builds because of all the H+ ions flying around. In response to signals from the skin, microcurrent devices produce electronic impulses that restore cell voltage. Once voltage is restored to the tissues, the body can do a better job at healing itself. As our voltage drops and pH becomes more acidic our breathing changes. The rate and depth of breathing are controlled by arterial CO2/pH. The breathing of severely sick people is fast and shallow. This makes everything worse as cells become more oxygen deficient. Our breathing is actually controlled by the acid level in the blood. In our bodies we have receptors constantly monitoring the level of the CO2 in our blood. When the level of CO2 rises, these receptors (called chemo-receptors) will register this, and signal the breathing center to increase rate of breathing. This makes sense. When we exercise, we create boatloads of CO2 and this is healthy and we do breathe faster the more intensely we exercise. Problem comes when we breathe fast and are at rest. People should read this last sentence ten time because this is where disease is born. When these chemoreceptors register blood CO2 levels what they are actually doing is measuring is the pH of the blood. If they register too low a pH, they can signal the ventilation center in the brain to increase breathing, and thereby remove more CO2 from the body, and raise the pH. The body uses this to combat conditions in which the pH of the body is too low. The body responds to this threat by increasing ventilation (increased breathing) thereby removing CO2 from the blood. If a body is in an extreme acidic (low voltage) state, it is forced to take minerals, including sodium, magnesium, calcium and potassium, from bones and vital organs. Scientifically, pH means potential hydrogen and measures the H+ (hydrogen) ions in the body—basically measuring voltage. It is amazingly simple and there is a conversion engine online that will directly translate pH levels into voltage. Low voltage (high acidity) also means that nutrients cannot cross the cell membrane and wastes cannot leave easily. If the tissues are drowning in waste and cannot utilize vital nutrition, they cannot perform correctly and eventually degrade. Once voltage is restored to the tissues, the intercellular pump starts working, nutrients enter cells and wastes leave, the cells’ pH becomes balanced, the oxygen supply to the tissues improves, and inflammation decreases. In short, you have more optimal cell function. Every cell in the body is like a little battery. To successfully bring nourishment in, and take poisons out, it has to be fully charged so we can see why pH and voltage is so important. The further the voltage drops the fewer nutrients can get in and when the voltage falls to a minimum only water, sugar, potassium, cesium and rubidium can get in. Even oxygen cannot enter a cell with too low voltage and we call that kind of cell a cancer cell. Mitochondria mine solar-energized electrons from carbon bonds (in food) and the conversion to ATP largely fuels our biochemistry and maintains body charge (-40 to -50mv/pH 7.35-7.45). A strong body charge protects cell molecules from being destroyed by acids, oxidants, radiations, free radicals: inflammation/oxidation. 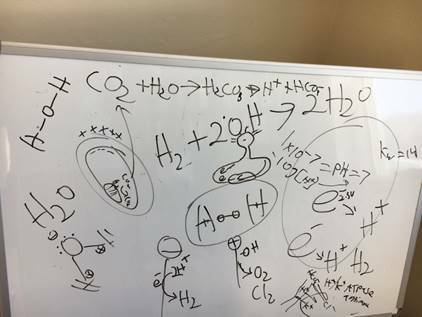 Oxygen is a switch hitter depending on its atomic states and so can act as a metabolic oxidizer, a more powerful immune oxidizer in singlet radical configuration, or as an “antioxidant” as it turns acidic protons to water when it mops-up after the process of respiration. Oxygen recharges pH buffers and conserves electrons. Over-fueled/under-oxygenated cells will become acidic and further repel and deplete oxygen. It is also important to note that oxygen can be present but not used. 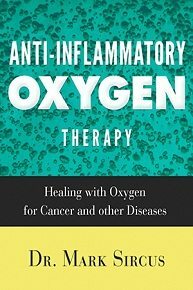 There is plenty of oxygen present in cancer cells. The problem is that it sits around inside their cells but is not being used. The mitochondria are either dead or completely impaired so the cancer cell has already turned to fermentation as an alternative energy source. Dr. Wright talks about magnesium. Mainstream modern doctors will never live down the shame of their ignorance about magnesium, which is one of the very best medicines emergency room and intensive care doctors have. Only problem is that they do not use it enough so many people die. Magnesium medicine is not rocket science, tell that to the surgeons. It is easy to understand the symptoms and diseases that result from large but common deficiencies.